Hand wash only.Do not use bleach. 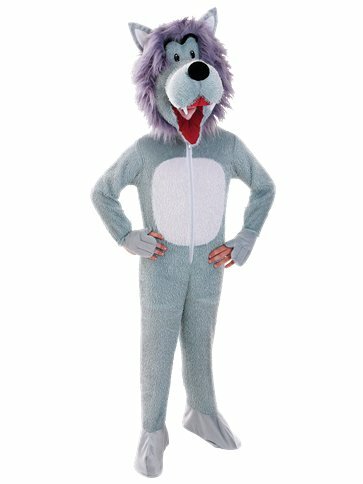 This adorable, two piece Wolf Costume features a grey jumpsuit with white chest panel and attached hand and shoe covers along with full zip fastener to front. Want it Friday, 26 April? Order it within 11hrs and 39mins and choose Premium by 9pm Delivery at checkout.